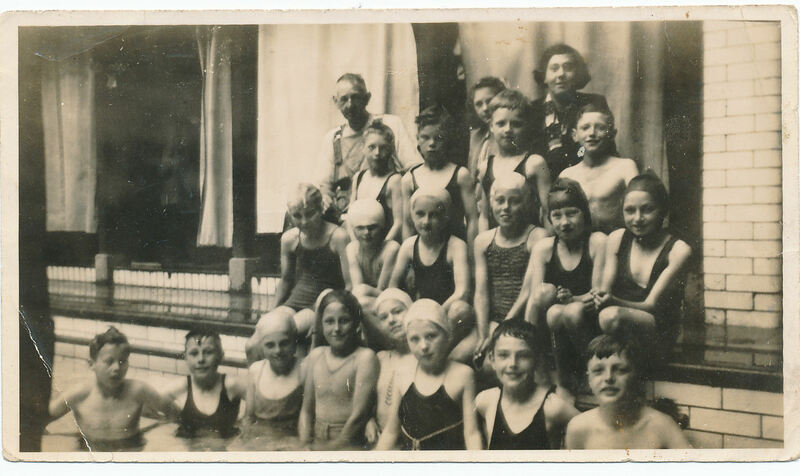 This is an old photo of a swimming class taken about sometime in 1940—42. The swimming class was from St. Martin’s School in St. Martin’s Street. by Lewes Road. The pool was at St. Luke’s School, St.Luke’s Terrace. The teacher at the back was Miss (?) Baker. I can barely recall the names any of the other students, maybe someone else will. If you can help with naming the pupils, please leave a comment below.